Most drivers don’t expect a breakdown, but the essential thing to bear in mind in these situations, is to stay safe. Be sure to contact your breakdown service provider right away. 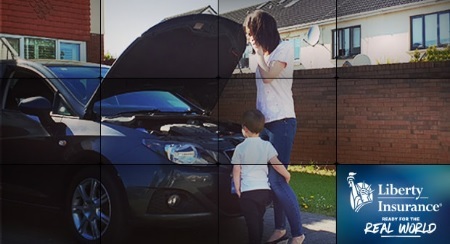 With Liberty Insurance, 24/7 Breakdown Assistance and Home Start come as standard on all our car policies. Call the Gardaí. If you do this from your mobile phone, they will need to know your location. If you use one of the roadside SOS phones on the motorway network, they will automatically know your location. Next contact your breakdown service. With Liberty Insurance, you can do this anytime by calling 1800 70 60 80from Ireland or 00353 91 56 0636 from outside Ireland.